Of all the franchises that EA has utterly destroyed (and sadly there are a number of them), two really stand out; Magic Carpet, a Bullfrog game that EA apparently never saw value in after it acquired the developer, and Dungeon Keeper, another Bullfrog game, which judging from the horrendous mobile free-to-play title was a franchise that fans wish EA never saw value in. Related reading: Matt's review of Dungeons 2, also available on PlayStation 4. Thankfully we have the Dungeons franchise to pick up the pieces, and while Kalypso’s satirical take on the gameplay formula won’t have the impact that Bullfrog achieved with the original Dungeon Keeper, the Dungeons games are very fine titles indeed. 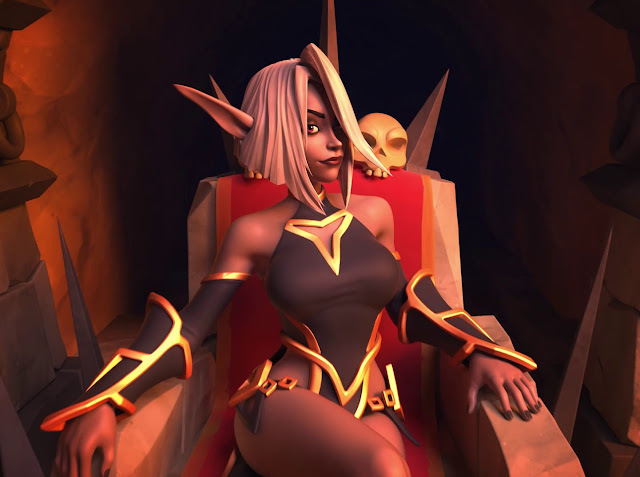 This new one, Dungeons 3, is largely iterative on its predecessor, but boasts a massive narrative campaign, as well as some key gameplay refinements that help it push towards the very top tiers of strategy gaming. 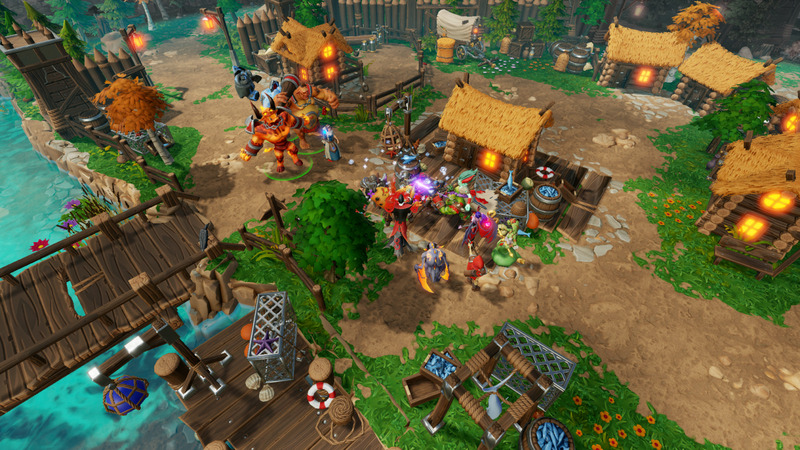 As with Dungeon Keeper, the core goal of Dungeons 3 is to build up a dungeon filled with monsters, traps, and loot, and then protect it from invading hordes of heroes. You’ll start off with a single room which contains the “heart” that you must protect or it’s game over, and from there, you need use grunts to excavate passages, mine for gold, and build rooms. These rooms range from food and alcohol stores to keep your army of monsters happy, rooms for those monsters to sleep in, treasure rooms to hold excess cash, and research rooms to get access to more advanced technology and rooms. At the other end of the dungeon is an exit, through which heroes will periodically invade your dungeon. To deal with these you can make sure you have enough units wandering around the dungeon, and you can use a range of devilish traps, from simple arrow and floor spikes right through to the old rolling boulder trick. 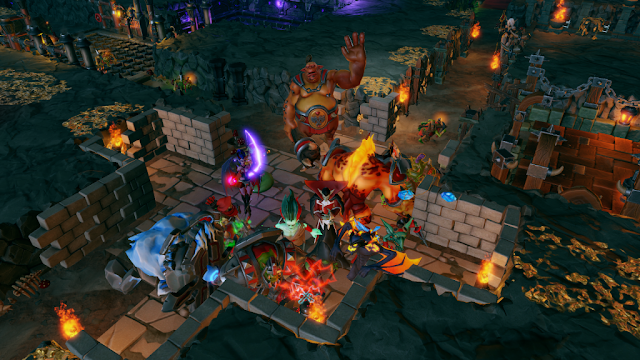 What really pushes Dungeons 3 ahead is that it’s not just about the dungeon building; you get to go topside as well. Just as your dungeon can be invaded by the forces of good, so too can you send your orcs, goblins, undead and succubi (returning fans of the Dungeons series will love how the developer has expanded on the range of monsters that you can control at once) to the surface, where they can proceed to wreak havoc on the forces of good. Exploring and battling topside works much like a simplified RTS of yesteryear, and while it’s not strategically complex, it does offer a nice reversal of pace; after spending so much time defending your base from hordes of enemies, it’s feels downright good to be able to get out there and extract revenge. As a simple, light hearted mix of town building simulation and strategy, Dungeons 3 really works. The game is entirely satirical in tone, with a narrator that more regularly breaks the fourth wall than he does maintain it. Sounding just like someone would if they were making a parody of a wildlife documentary, this narrator has a distinctly British sense of humour, which is backed up with a bonkers plot about a dark elf brought up by humans to be good and righteous, but falls under the sway of the almighty Evil that has been the franchise’s “protagonist”. The game doesn’t miss an opportunity to poke fun at just about every fantasy film or trope there is (or indeed itself), and while it’s neither the smartest nor wittiest humour, it gives the game a great sense of fun. Of course, the problem with humour - especially when it’s the focal point of something - is that it’s only “good” as long as it’s funny, and if you hear the same joke enough times it does eventually wear thin. From that point on, Dungeons 3 needs to rely on its systems to sustain it. Thankfully, as simple as those systems are, the random map generator that Dungeons 3 offers is so perfectly designed that you could easily play this game for months… particularly if you’ve got a buddy to co-op with. As you can probably assume, the single player campaign is largely there to ease you into the game’s systems, and it does a good job of that. Early levels are a cakewalk and really restrict what you can actually build into your dungeons, and the kinds of monsters that you can recruit. Indeed, you’ll be playing through the campaign for a solid couple of hours before you’re even able to play around with some of the stuff that is introduced in the tutorials. That’s not a criticism. While the game is intuitive and easy to use, with a solid UI that allows you to navigate around easily, there’s also a lot to it, especially given that you need to switching between the overworld and underworld maps frequently. Later levels - let alone the skirmish and multiplayer modes - can become very hectic with what’s going on, and it does take practice to get to the point where you’ll be comfortable with all that activity. Thankfully with the story mode you get all that easing in process spread over a full 20 hours - this is one huge campaign. After that you’ll be ready to team up with someone and take on the tougher (and effectively endless) skirmish mode. Related reading: Another game where you get to play as the evil character, protecting their lair from heroes, is Koei Tecmo's brilliant Deception IV. Matt's review of the PS4 release. There are some irritations, though it tends to be more a consequence of the player’s decisions than the game. When enemies attack your base, it can be difficult to quickly locate soldiers to throw into battle against them. The solution is, of course, to build rest rooms, food areas, and other rooms that your soldiers tend to accumulate around in the path from the dungeon entrance to ensure that you don’t have to do anything when an attack comes. Players have access to a spell menu too, with spells in there that can be devastating on the enemy. Unfortunately the menu can be a little cumbersome to pull up in the heat of the moment. On PC these irritations would be less of an issue, as the game is clearly designed around mouse and keyboard control, and while the developers have done well to make it as playable as possible on the console controller, and Dungeons 3 is indeed very playable on the PlayStation 4, it’s still not quite perfect. But at least the game’s available on console. Not so long ago this kind of thing was exclusive to PC formats. Dungeons 3 looks and plays simply compared to some of the other strategy games out there, but there’s a definite depth of challenge to the game that, coupled with its sense of humour and excellent co-op mode, make for the perfect game to kick back with on a lazy weekend afternoon and some beers. It’s hard not to love it for that.